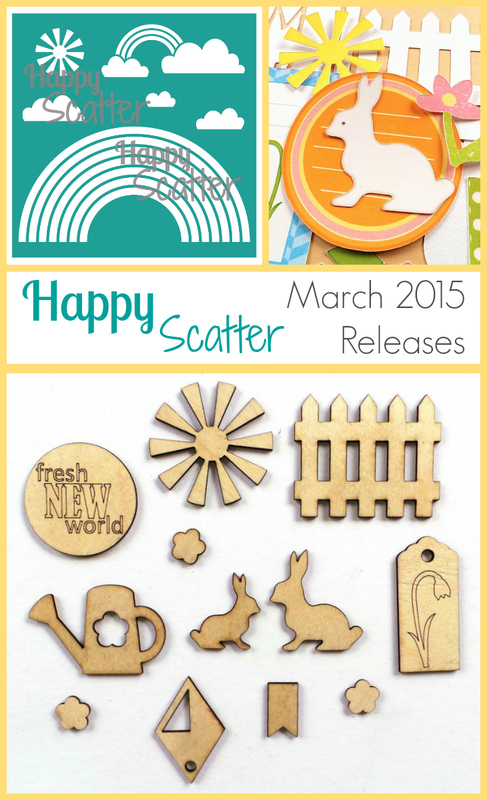 New Happy Scatter Items At Last! Hello! It’s been a long time since I uploaded some new items to my Etsy shop, Happy Scatter. The last time was May 2015! I can’t believe it’s been so long, but with starting a part time job in June plus all the volunteer work I do, I guess it’s not that surprising that my designing took a back seat for a while. I had started designing the new items ages ago but never got round to finishing them off and actually making them! For the last month-or-so I’ve been joining in with Etsy Resolution, a bootcamp for Etsy shop owners. It’s been super inspiring and helped me to improve lots of areas of the shop like understanding SEO. It definitely helped give me a kick to get more items listed! Fun huh? 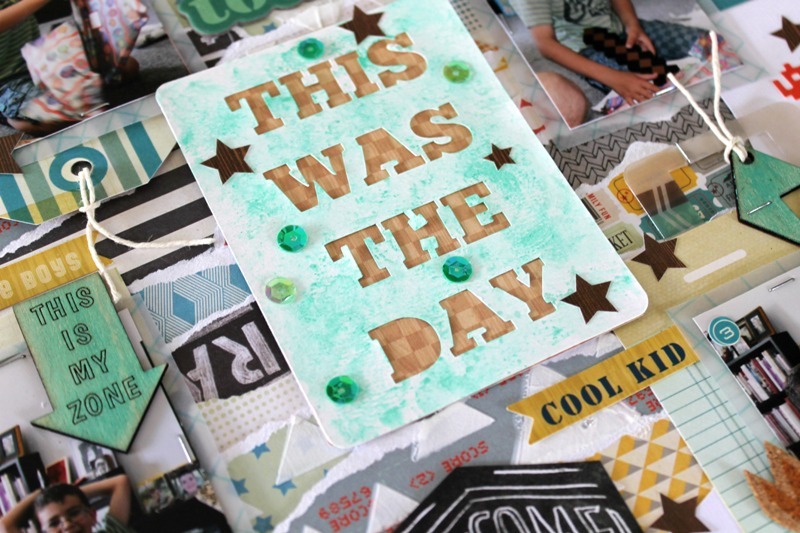 There’s 2 die cut cards sets (the ‘See The World’ travel set and the ‘Home’ set), 3 new stencils (the ‘Ahoy There’ anchors stencil, the ‘Wood Slice’ stencil, and the ‘Edgy Chevron Arrows’ stencil), and 3 new flair buttons sets (the ‘Time To Go’ travel flair, the ‘The Sea Is Calling Me’ flair, and the ‘Just Lovely’ flair). The flair are all quite cute too though. I know I’m biased because I designed them! In my opinion the best one is the little shelf with cacti on. Which one do you like best? I’ll be blogging some projects with these, as soon as I can squeeze in a bit of time for crafting! One thing I should mention is that I have put the prices up on some of my items, due to an increase in manufacturing costs, and me not being very savvy about how much time things would really take to make when I started the shop. I’ve learnt that even if I’m using an electronic die cutter to cut things it still takes a lot of time to set the machine up, clean the sticky residue off stencils, package things up, on top of time spent designing things in the first place, etc, etc. I do actually want to earn a little bit of money for my time, which I’m sure you can all understand! However I have also changed the price of postage so it will cost you LESS – it’s now a new low flat rate, so you can buy as many items from my shop as you like and the postage won’t increase per item like it used to. I hope that all makes sense. Any questions let me know. 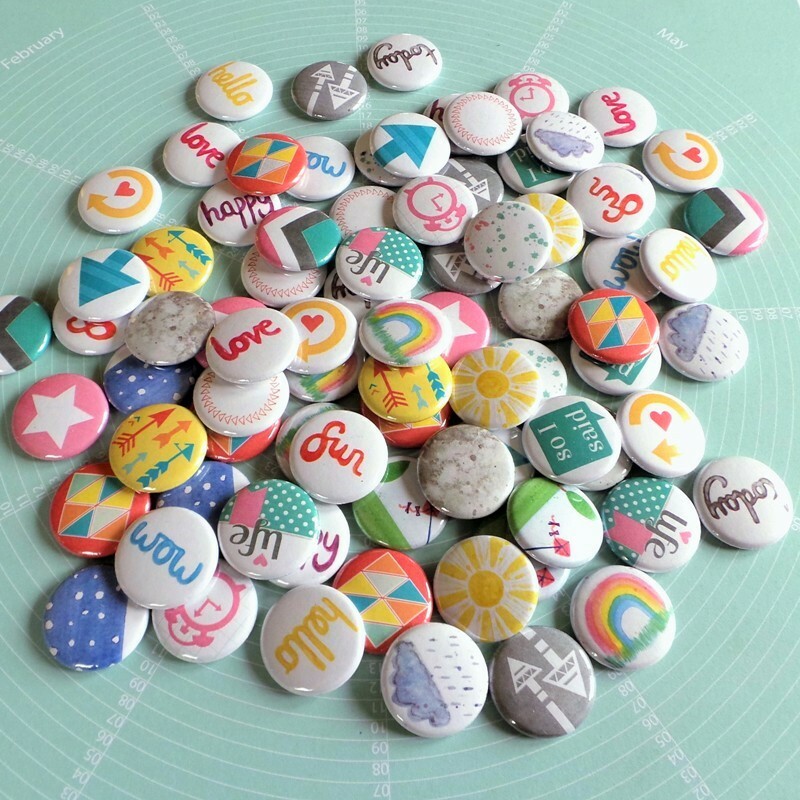 Thank you so much for continuing to support me and my shop – if you can’t afford to buy anything right now then a pin, tweet, re-gram or FB share of these new items would make me smile just as much! I hope you are having a great week. It’s half term here so I’m trying to keep my little monkeys occupied during the day. They know how to keep me busy! 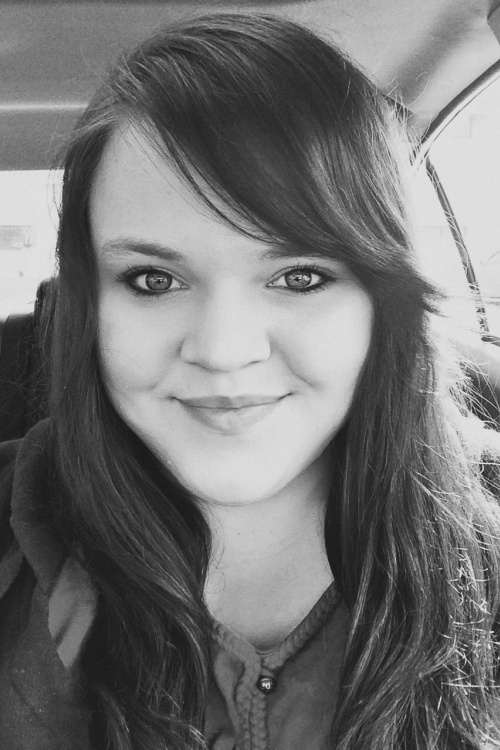 GUEST POST – Melissa Vining with a Happy Scatter Process Video! It’s time for the last (but certainly not the least) of my Guest Designers that I recruited to show off some of my Happy Scatter Etsy Shop items. I had a few delays in sending the last parcel out, but Melissa Vining was very patient and now she’s here to share what she created! 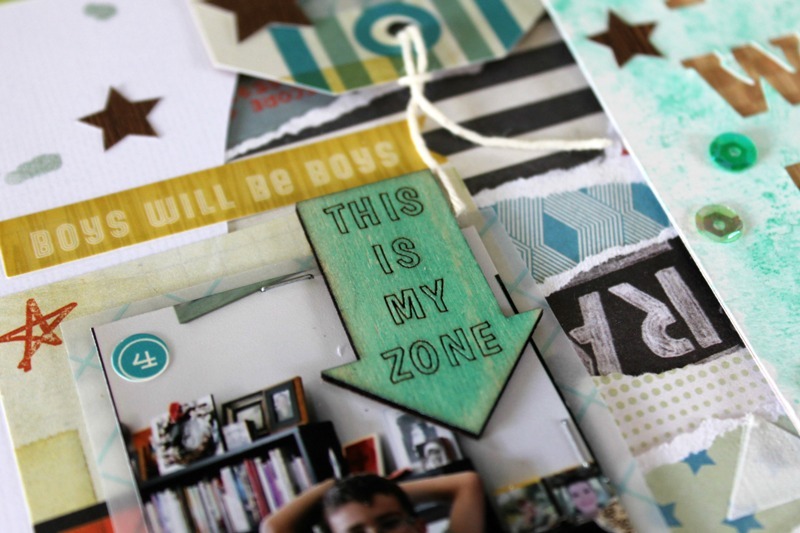 Read on to see her two layouts, plus a process video for one of them! Isn’t it stunning? It’s so full of life and dimension! I am in love with the torn-paper background inside the circle, I am definitely going to be trying that out myself! This is the most adorable layout. And I’m sorry Melissa, but I did think ‘look at those cheeks’ before I even read what the page was about! She is amazingly cute! What do you think? Aren’t these just beautiful and full of lovely details to look at? I think she did an amazing job! Thank you Melissa! 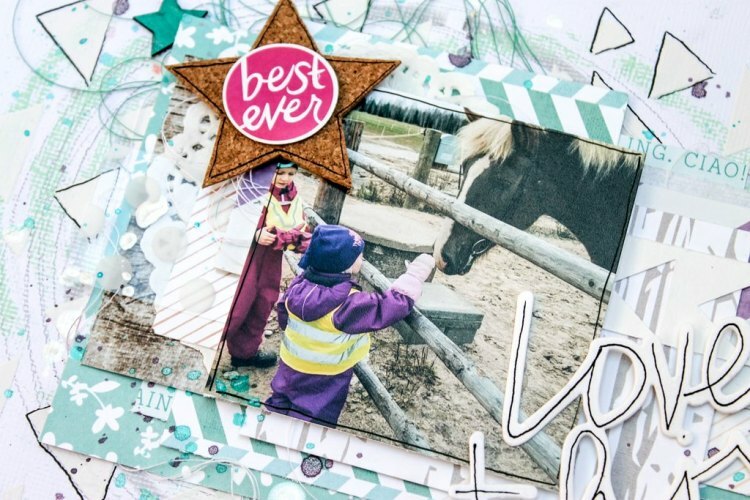 Don’t forget to leave a comment to let us know what you like best about Melissa’s layouts! New Flairs, a Stencil, & Embellies at Happy Scatter! Hello all, this is just a quick post to let you know about the new items now in stock at my Happy Scatter Etsy Shop! A lovely shiny pile of colour! You can expect to see some of these appearing on my projects this weekend during the Focus Your Craft & Soul event. Congratulations Jacky, I’ll get your prize sent out to you! I hope to see lots of you here tomorrow at 4pm for the start of the event. Look out for a Happy Scatter giveaway on Sunday! 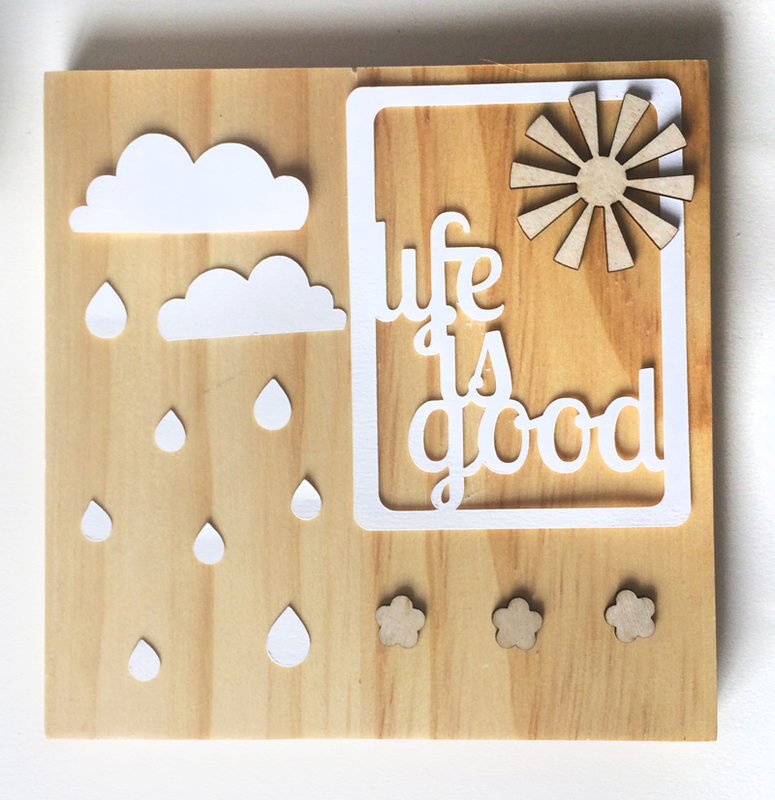 Guest Post – McCall Clifford with a Happy Scatter Home Decor Piece! Today it’s time for the next Guest Designer to share a project using items from my Happy Scatter Etsy Shop! I can’t think of a better name to describe this fun project full of lots of cute products! I received my package of goodies and was so impressed how cute all the packaging is and the unique variety of product. 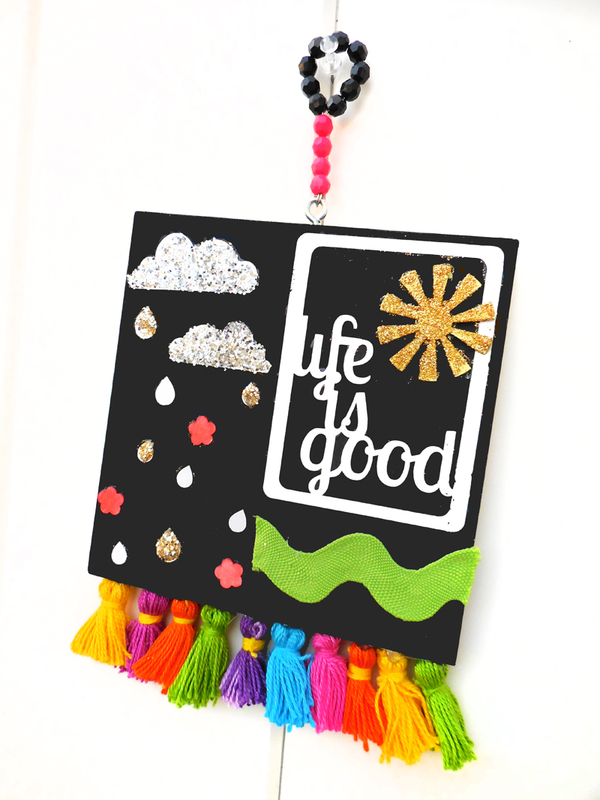 Since I’m not much of a scrap-booker myself I thought it’d be a great idea to create a fun bright statement piece to hang. I painted an 8×8 piece of wood black, a wood veneer sun yellow, and pink wood flowers a vibrant pink. 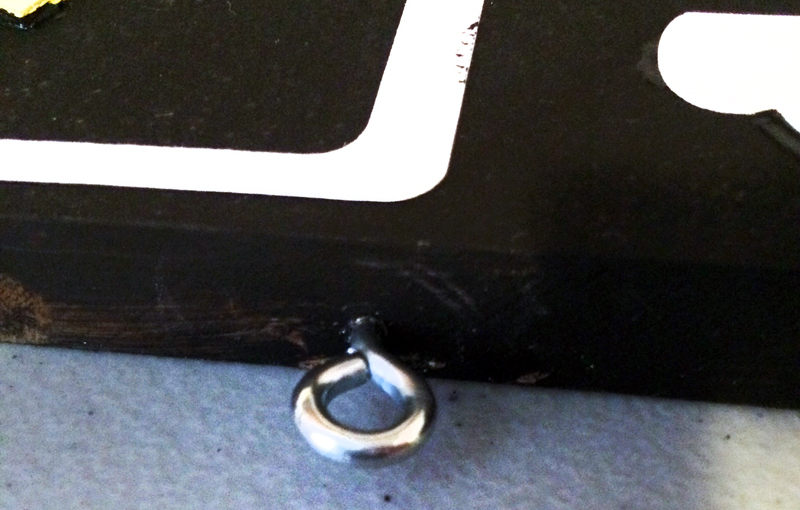 I screwed in an eyelet for hanging on the center top. A little pop of ribbon! Definitely a perfect piece to bring a pop of color to any room. It makes me wish it was summer already! Thanks McCall! 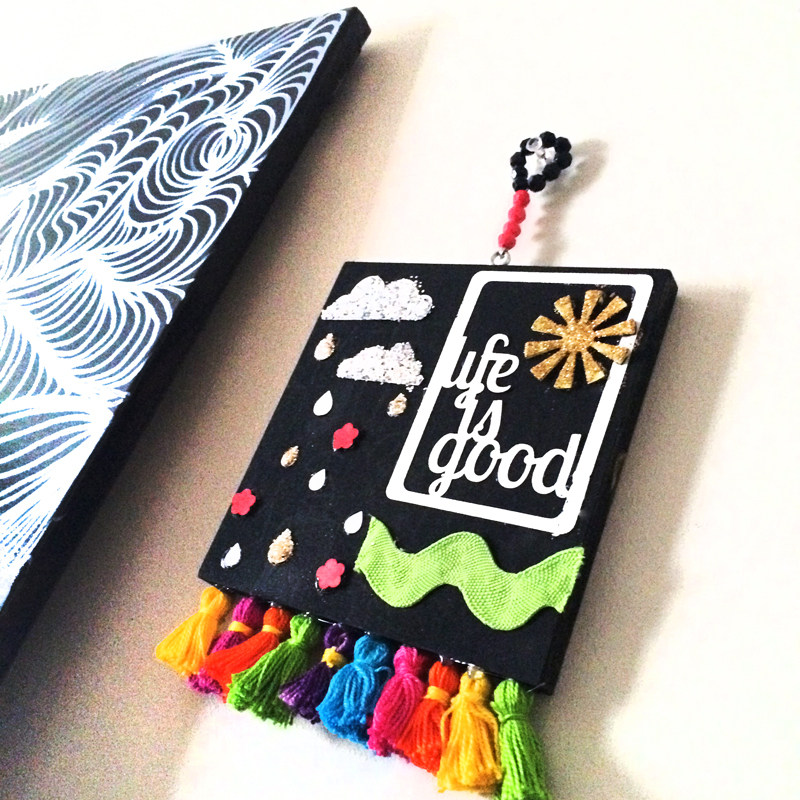 Isn’t her home decor piece so fun and colourful? I adore the rainbow tassels along the base. Please leave a comment below to let McCall know she did a great job (you agree with me, right?!) and then go check out the links above! 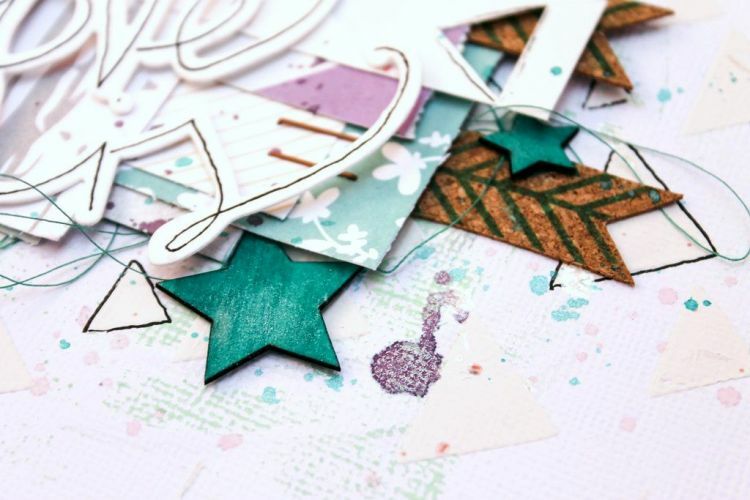 McCall also has another project using some Happy Scatter items on her blog right HERE! Thanks so much for stopping be, have a great weekend! 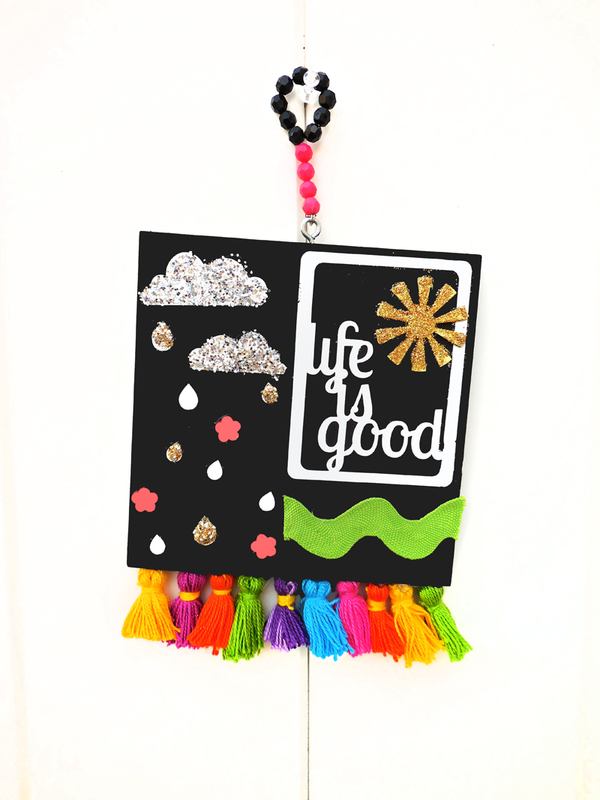 As I promised when I revealed the Guest Designers on Tuesday, I’m back today with the first Guest Designer’s project with items from my Happy Scatter Etsy Shop. 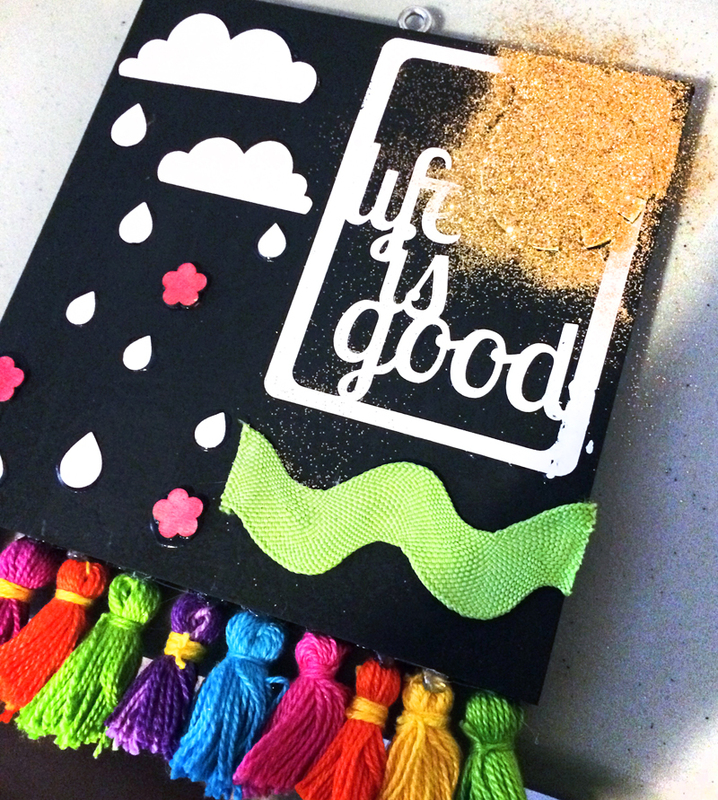 Read on to see what she created and to see a process video! 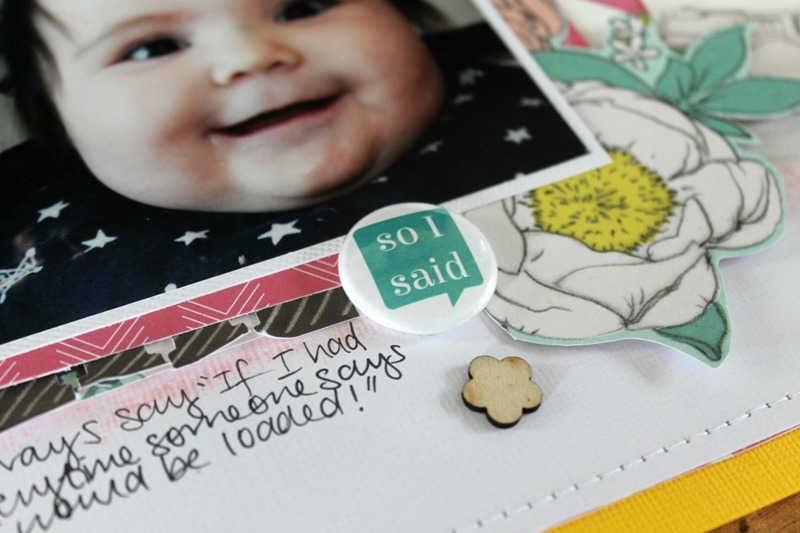 I decided to focus on the ‘Going In Circles’ stencil, but once I got my inspiration going I noticed I used all the things I got in my Guest Designer goody pack. The ‘Scattered Triangles‘ stencil is so very versatile, I’m sure it will be the one I’m using over and over again in the future. 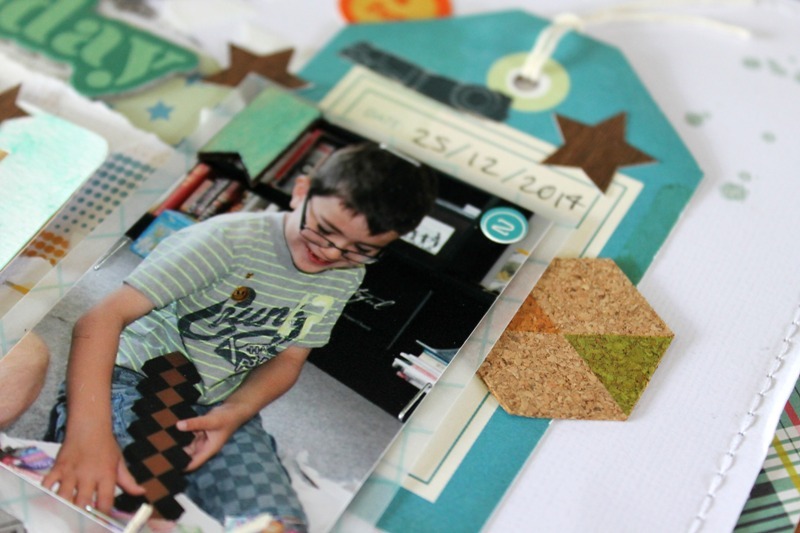 The same goes for the wood shapes and especially for the cork stickers, those are so thin and nice way to add interest to a scrapbook page! I’m so glad I got a chance to guest here, the Happy Scatter products made me so Happy! Thank you Jennifer! The lovely Terhi also filmed a process video to show you how she put the page together, I especially loved watching how she used the stencils. You can watch below or see it on YouTube HERE. What do you think? 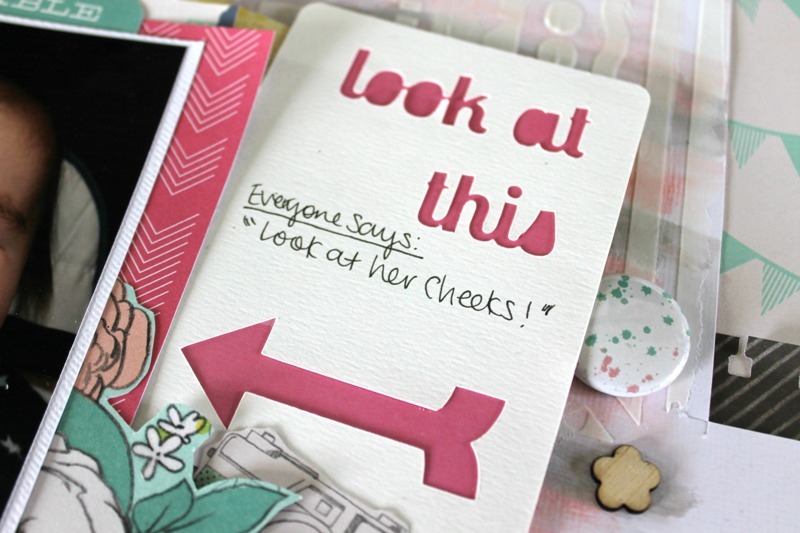 Does Terhi’s page make you want to pull out your arty supplies?! You can find my creations from my My Blog, tutorials from my Youtube Channel, and lots of “behind the scenes” pics from my Instagram. I’m also on Pinterest, Facebook, and Twitter! Thank you so much Terhi, you did a wonderful job and I can’t wait to see what the other Guest Designers create over the next couple of months! Hello everyone! Today I’m so excited to introduce the Guest Designers I chose from the Happy Scatter Guest Designers Call I held a while back. These girls will each take a turn over the next three months, with one project each to show off some Happy Scatter goodies. Today I just want to share a photo and a bio of each Guest Designer, so you can get to know them and pop by their blogs to see why I picked them out of the 25 applicants I received from all over the world! 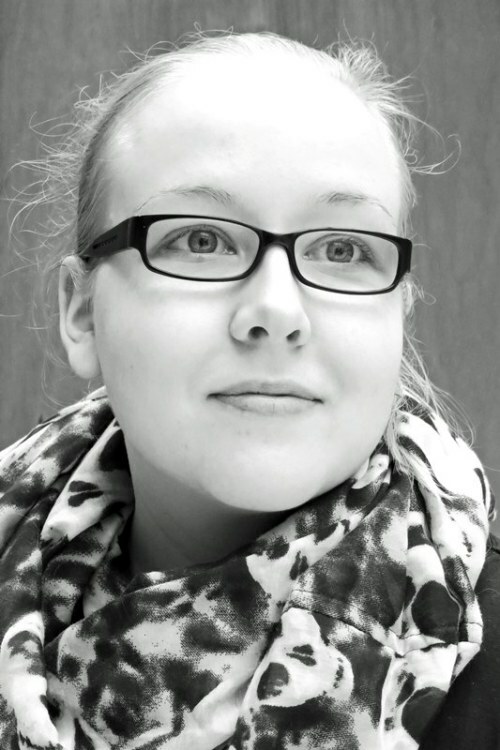 I’m Terhi Koskinen, passionate scrapbooker and paper crafter from Finland. My creations are filled layers, straight lines, and techniques I want to try out. 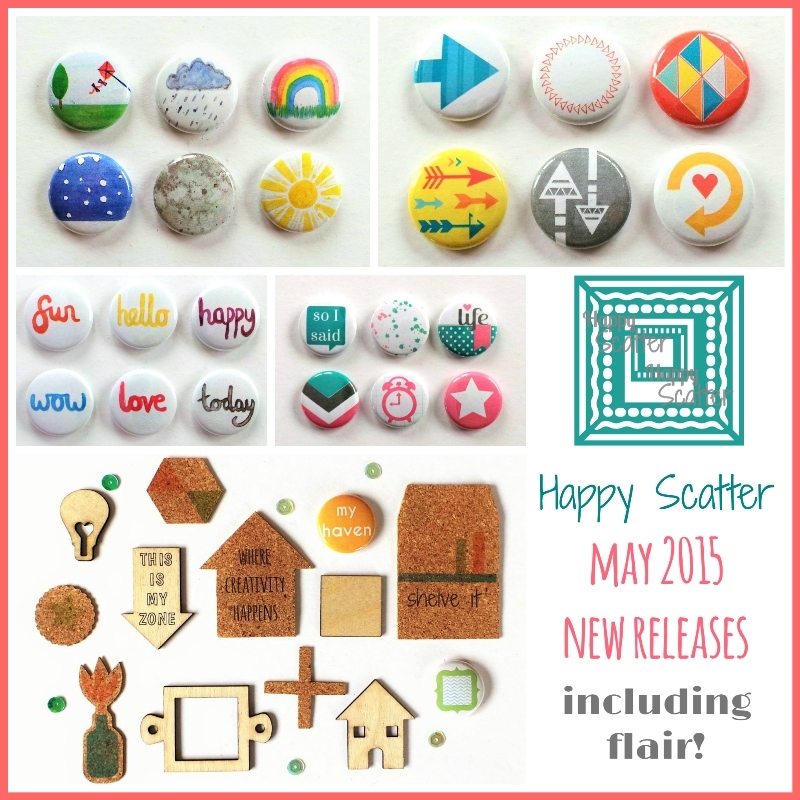 I can’t wait create something beautiful with Happy Scatter products, feeling excited and very grateful! You can find my creations from my My Blog, tutorials from my Youtube Channel, and lots of “behind the scenes” pics from my Instagram. I’m also on Pinterest, Facebook, and Twitter. Thank you Jennifer for the opportunity! Hi I’m McCall. I am 23 years old. I am a wife to a Mortician and a mom to 2 pups. I am working towards my art major in visual arts and minor in art therapy. 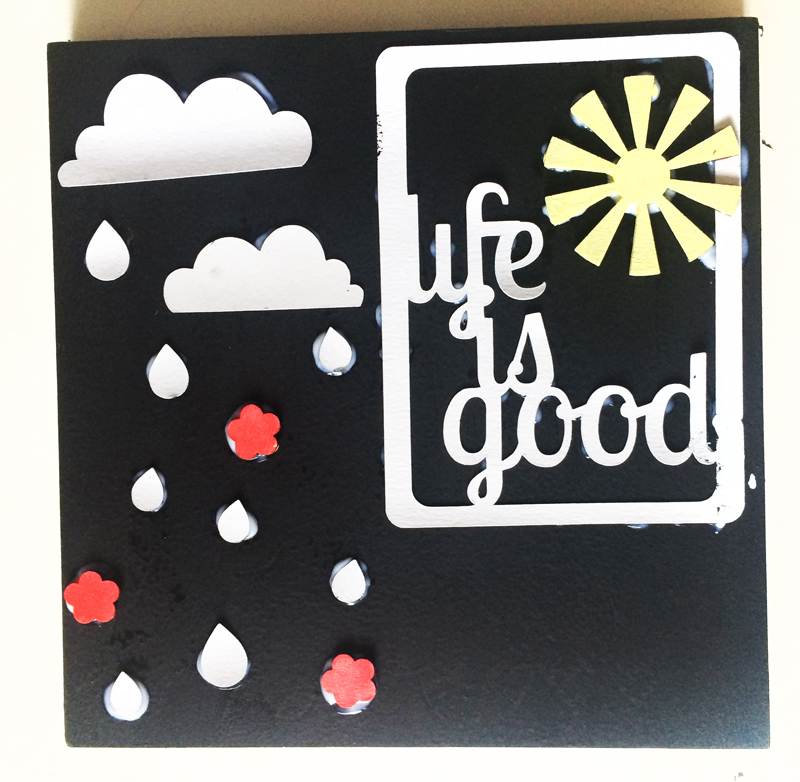 I love to create, blog, take pictures, do really anything artistic and crafty. Arts are my outlet from the world. You can find me at My Blog, Pinterest, Instagram, Facebook, and my own Etsy Shop. I’m excited for this opportunity to share my creations with you here! 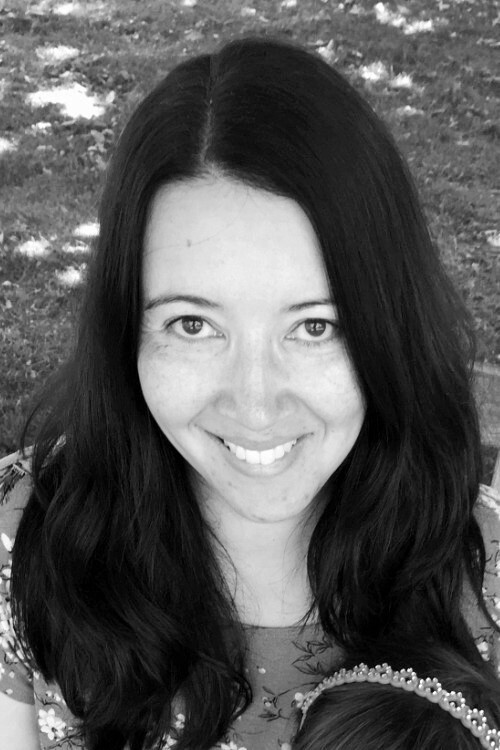 Hello, I’m Melissa and I’m from Queenstown, New Zealand (home of Bungy Jumping). I’m married with 3 children (aged 8, 5 and nearly 1), and currently I’m a stay at home mum who works part time from home. I’ve been scrapbooking for about 6 years now, and started when my first child was 18 months old as I wanted to make a baby album for him. 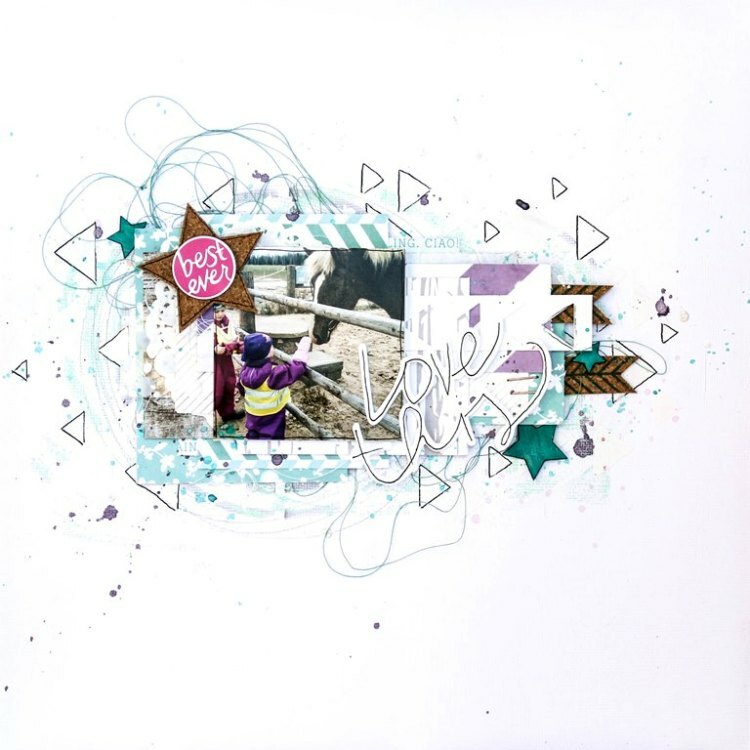 In 2012 I discovered the online world of scrapbooking and have never looked back. 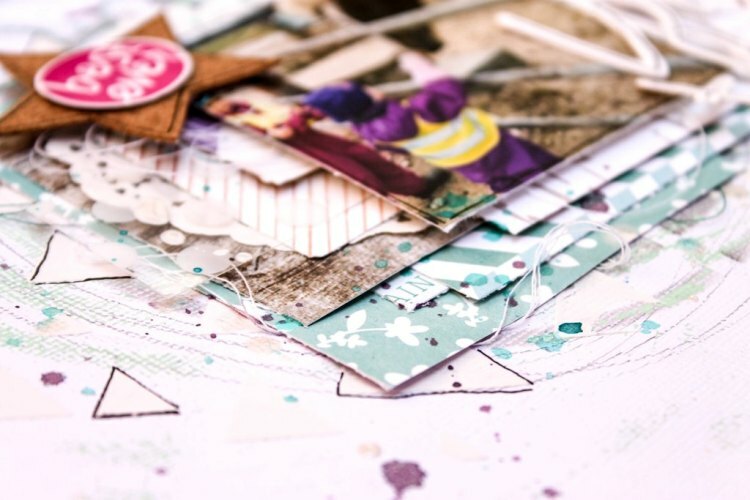 I’m predominantly a traditional scrapbooker, and I try to be creative everyday, even if it’s just 10 minutes. 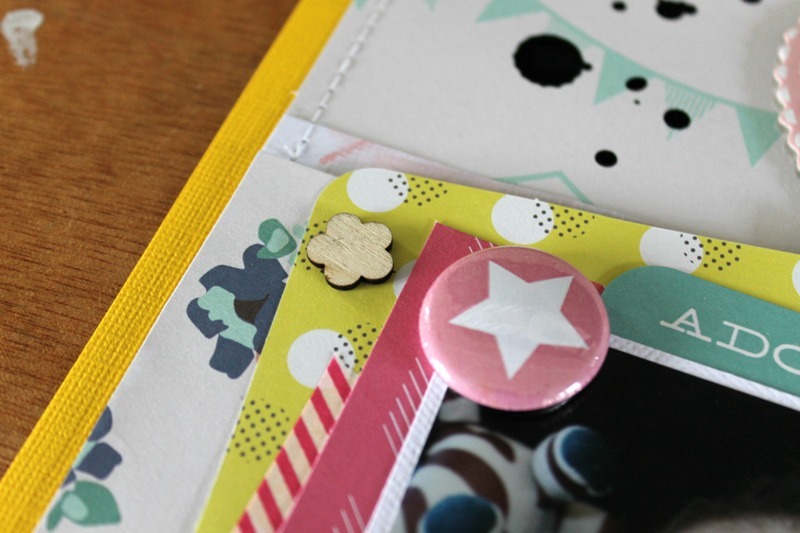 My favourite product is definitely the patterned paper, closely followed by ephemera and journalling cards! My style is clean and fresh with extra details, and I love to try new trends. 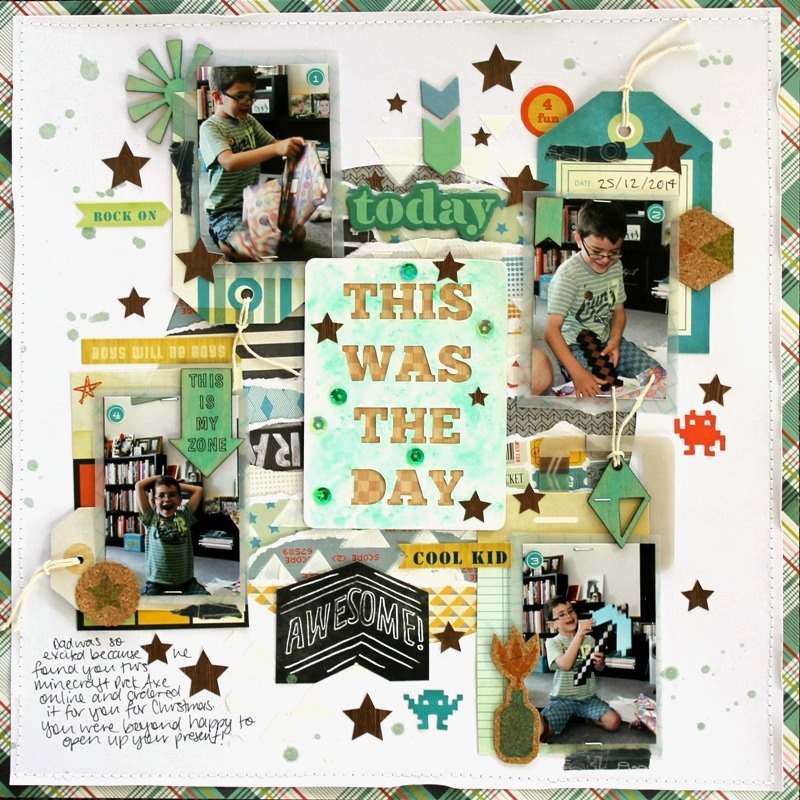 I currently design for Lets Get Sketchy challenge blog, and Artfull Crafts, a New Zealand scrapbooking store. 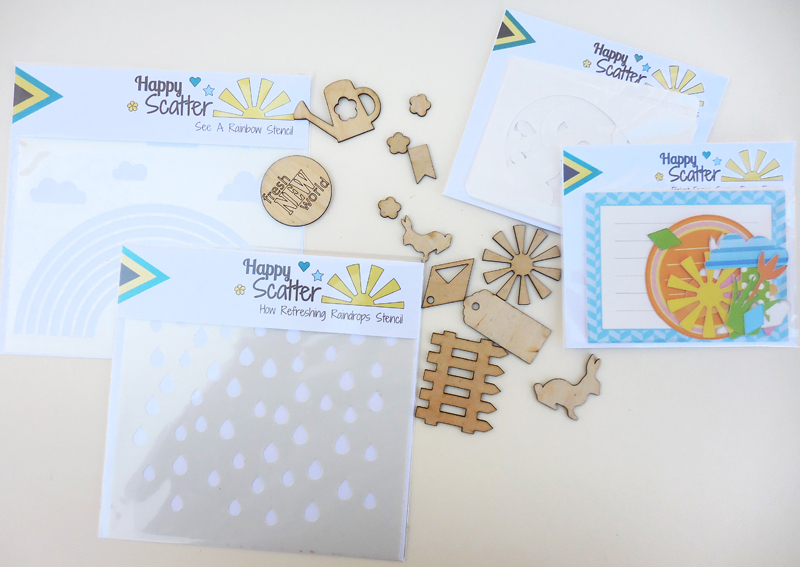 I’m so excited to be working with the Happy Scatter products. They are original and fun, and really suit my style. You can find me on My Blog, on My YouTube Channel, or Instagram. What an amazing bunch of creative minds eh? I can’t wait to see all of their projects. I was so lucky with my choice of applicants, they were all amazing, so thank you to everyone who applied, you made my choice very difficult! You won’t have to wait long to see one of these crafters in action – Terhi will be back on Thursday this week (the 26th of February) to share her creation with you all. Don’t forget to check back then! In the meantime you can always stop by the Happy Scatter Etsy Shop or Facebook Page to see what’s going on!